These figures represent a student and a teacher, at the oldest wooden schoolhouse in the United States. 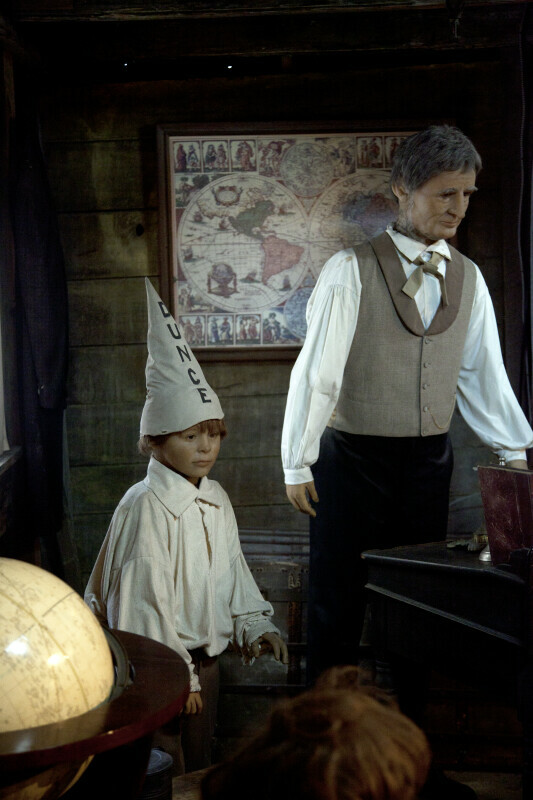 The student is wearing a dunce cap. WARNING: You are about to download a 43.0 MB TIFF!